Happy Monday once again, dear colleagues. 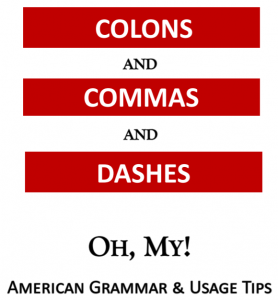 And since it’s Monday, it must be American Grammar Checkup day. At the risk of belaboring a point, I keep noticing in many professional documents two sentences separated by only a comma. I’m certain many people think they’re writing one sentence when they’re actually writing (at least) two; I want to show you a few I’ve seen and ask that everyone check their own articles for this type of error. Each of these examples contains two sentences that need to be dealt with separately. Each is an independent sentence that could be ended with an end mark of punctuation. 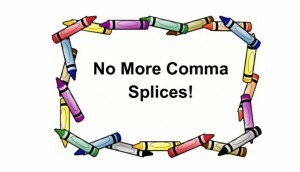 Joining them with only a comma is an example of the dreaded comma splice – splicing/joining two sentences together with the wrong punctuation mark. First, let’s identify the separate sentences. We’re open on Sunday. Please stop in and see us. Good luck on your search. If we can help you, please let us know. We’re happy to answer any questions you might have. Just call us at 888-123-4567. Do you see them more clearly now? Here are your options for writing them correctly. You can end each sentence with the appropriate end mark and make two separate sentences as I have done above. But writing only very short sentences may make your readers wonder if you ever left second grade. Sometimes we have to write longer ones — correctly, of course! So, you can use both the comma and one of the coordinating conjunctions – and, but, or, for, nor, so, yet – if one of them fits the sense of the sentence. Need more info on this? Check out my previous post here (Using Commas in Compound Sentences). You can also substitute a semicolon for the comma; it’s a little more elegant and using it makes you look as though you know what you’re doing. Usually the semicolon is used on its own, without a conjunction to follow it. Not sure about using semicolons? Check out a previous post here (Pity the Poor Semicolon!). None of the rules listed above or the examples shown below is automatically better than another. It’s YOUR choice as to how you construct your sentences. We’re happy to answer any questions you might have, so just call us at 888-123-4567. We’re happy to answer any questions you might have; just call us at 888-123-4567. Remember: We cannot connect two fully finished sentences (independent clauses) with just a comma.